Just like the first three matches, Cheteshwar Pujara once again piled on runs on day 2 of the fourth Test but fell seven short of a double hundred. Adding salt to Australia's Pujara-induced pain was Rishabh Pant with his magnificent stroke play. The young lad, who faltered to reach a fifty in the first three matches, went onto score a useful century. After Pujara's dismissal, the Delhi lad went on to build a crucial partnership with Ravindra Jadeja. The 21-year old was cautious through most of his innings but did not hold back himself from taking chances once in a while. By reaching the triple-digit mark in 137 balls, Pant became the first Indian wicket-keeper to score a century in Australia. By winning the Melbourne Test, India have ensured that they retain the Border-Gavaskar trophy and all they need is a draw in the final Test at the SCG. On a pitch which is expected to be conducive to batting for the first three days, India was lucky to have won the toss. 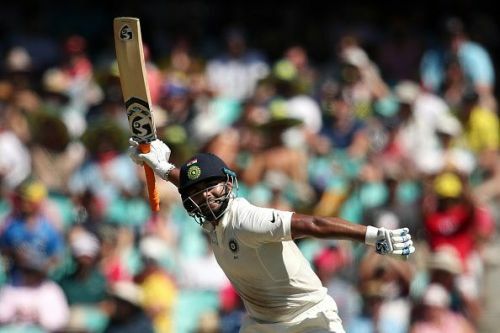 On day 1, India did not get the anticipated start as KL Rahul, once again, failed to make an impact but a century partnership between Mayank Agarwal and Pujara steadied the Indian innings. After Agarwal got out for 77, Pujara kept on building partnerships with the batsmen up next. The Saurashtra batsman added 54, 48, 101, and 89 runs with Virat Kohli, Ajinkya Rahane, Hanuma Vihari, and Rishabh Pant for the third, fourth, fifth, and sixth wickets respectively. While Pujara was the architect of the Indian innings, Pant gave India the final flourish. The youngster upped the ante after the dismissal of Pujara. For the seventh wicket, Ravindra Jadeja and Rishabh Pant built a century partnership off just 133 balls. The partnership took India a step closer to their first Test series win in Australia. Series victory in Australia - Great fun. Watching Australia totally give up and wait for India to declare - Even more fun. Pant 'the babysitter' impressed one and all with his second Test century. Top innings by @RishabPant777. His talent is undoubted but have enjoyed his composure and the manner in which he has built his innings. Still got there in 137 balls! In a couple of years, he will be India's no 6. 1st Indian to open a Test account with the six. 1st Indian keeper to score a Test century in England. 1st Indian keeper to take 11 catches in a Test. 1st Indian keeper to take 20 catches in a Test series. 1st Indian keeper to score a Test century in Australia. Pujara did not get a double century but was the talk of the town. He may have missed double ton, but this has been one heck of a knock. Held innings together, showed watertight technique, as also wide and fine range of attacking strokes. Take a bow @cheteshwar1! Not sure if Pujara is worried, but many others are about him not getting endorsements. Quite amazed that Duracell haven’t approached Pujara yet for a tie up. What a incredible series for #CheteshwarPujara !!! Dear Brand Managers , Hope you sign him on now. I guess you won’t Coz your research company may not think he’s cool , If you want I will request him to get a tattoo & say cool things on social media, ok ?